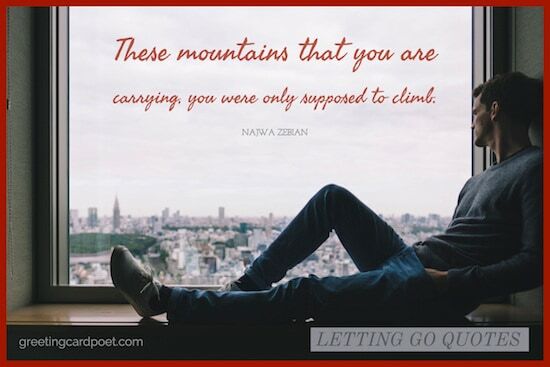 Some of the best letting go quotes have helped the brokenhearted and souls get through some of their most difficult times. Whether it’s in love, in close relationships or when you have lost someone, letting go and moving on can be the most difficult decision you make. It is always the best decision to move on in a relationship when there is no longer any love or when continuing with it is painful. But, it needs lots of courage to gather yourself up and move on. One of the most consistent things in life is change and when you notice important people changing for worse, you should think of letting go and moving on. Find the inspiration and encouragement you need in these words or share them with a friend or loved one who is in need of it. When you let go, you are truly free. You don’t live in the past; you take a sledgehammer to it to see what stands so that you can build on it. Life moves forward. The old leaves wither, die and fall away, and the new growth extends forward into the light. 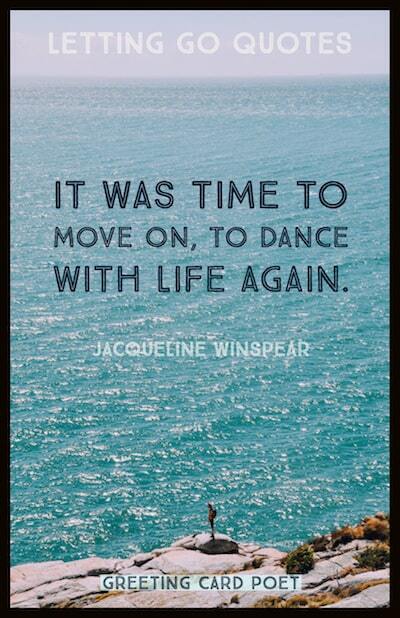 It was time to move on, to dance with life again. I just feel that you reach a point when it’s time to move on. Time to move on, time to get going. What lies ahead I have no way of knowing. But under my feet, baby, grass is growing. 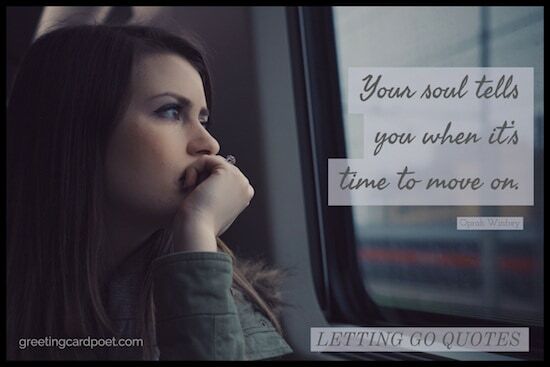 Your soul tells you when it’s time to move on. Anyone can give up. It’s the easiest thing in the world to do. But to hold it together when everyone else would understand if you fell apart, that’s true strength. We ultimately get to know ourselves a little bit better by pushing forward. Those who move forward with a happy spirit will find that things will always work out. Every leap forward that I make is by reaching back and firmly getting a footing in the past, and pushing forward as hard as I can. The world breaks everyone, and then some become strong at the broken places.